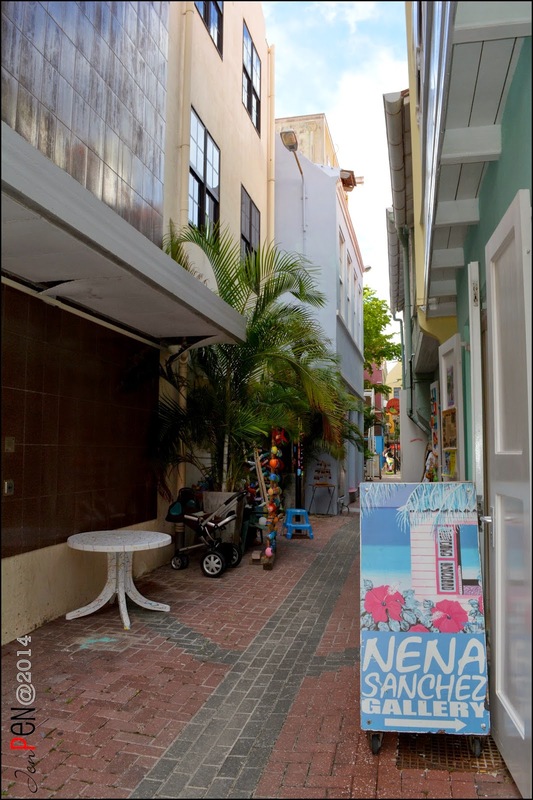 If you ever on the island, you really have to go this one alley in Punda (our downtown). 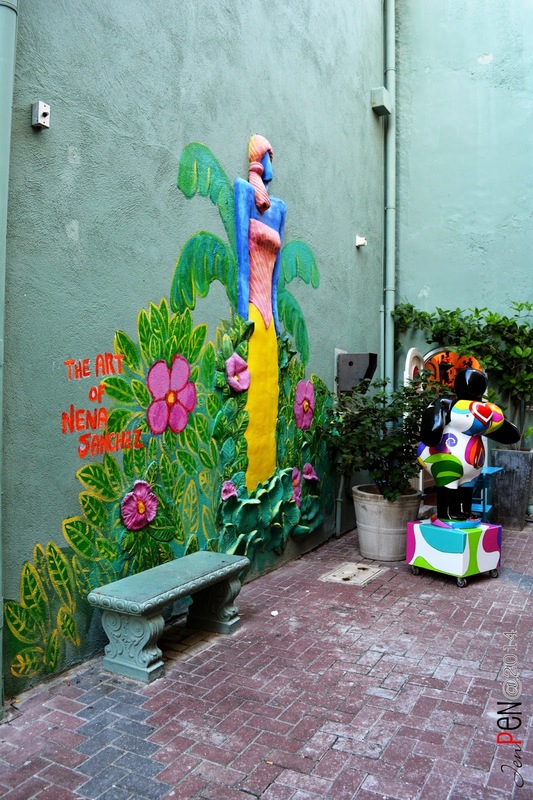 It's the alley with 3 great art and crafts stores: Nena Sanchez Gallery, Ecco Bambu & Serena's Art Factory. 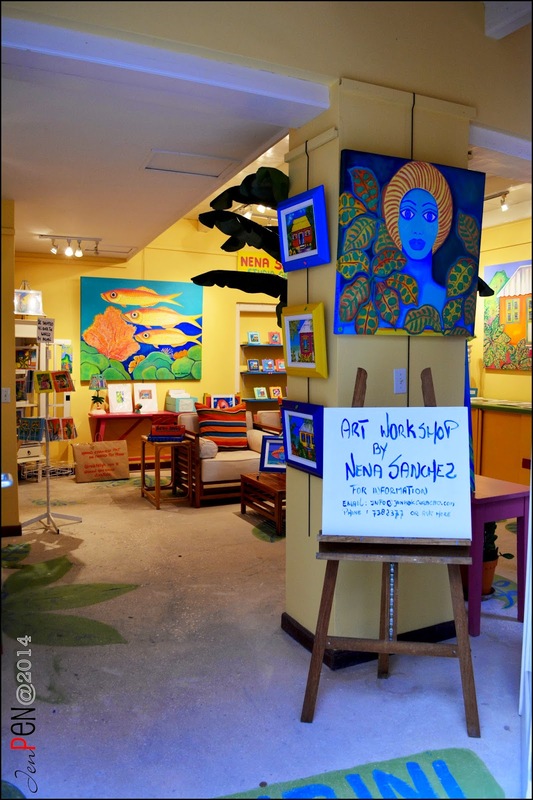 Nena Sanchez & Serena's Art Factory also got another location which has their studio and much greater and bigger gallery and it's a sure thing to visit. Prepare yourself, 'cause this is going to be a long photo post. Lets start of with the lovely gallery of Nena Sanchez. 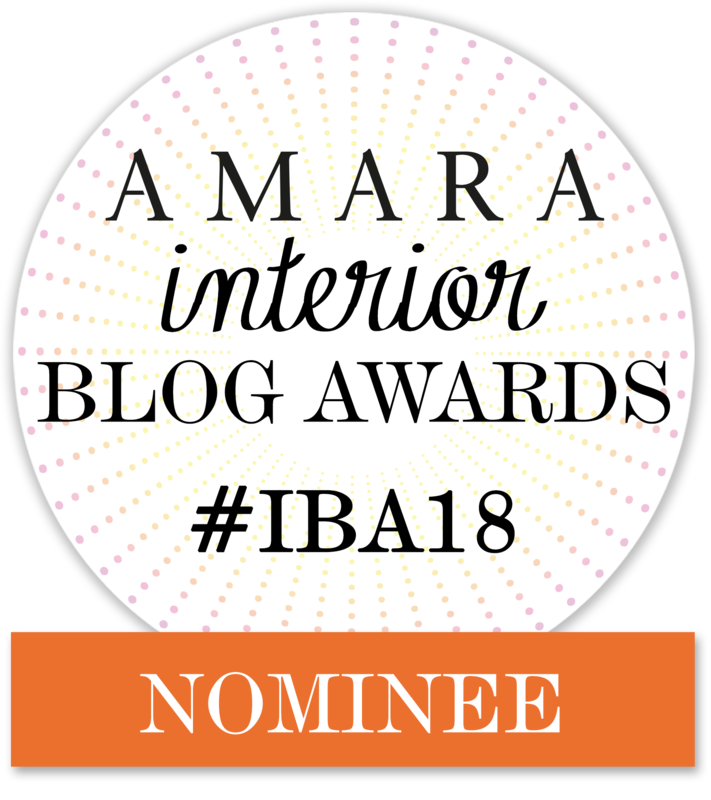 As an interior decorator herself, Nena Sanchez decorated this small but spacious space in a way that you can feel yourself at home and imagining her art works in your home. 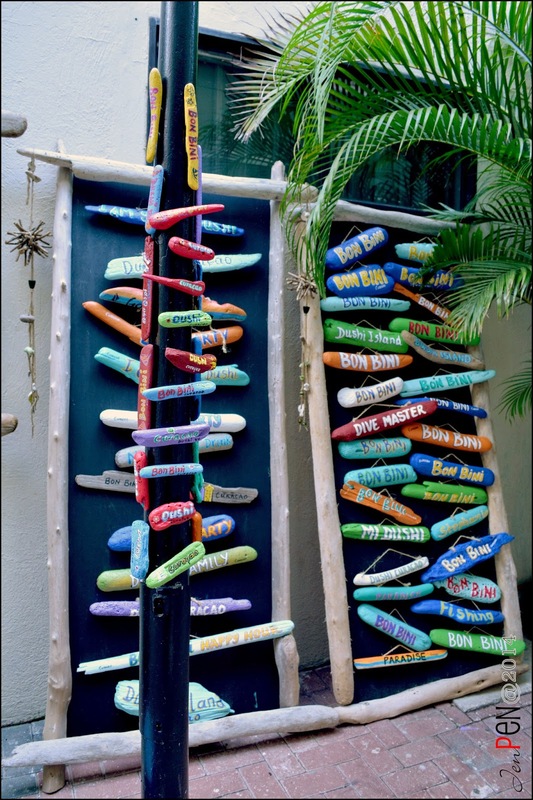 Very clever idea ofcourse. You'll get an idea immediately what you can or cannot do with the art in your space. Her paintings are so colorful that it will be impossible to feel blue even if you live in some hole in Antarctica. Happy feelings all year long. Visiting her studio and bigger gallery is a sure thing on my list. 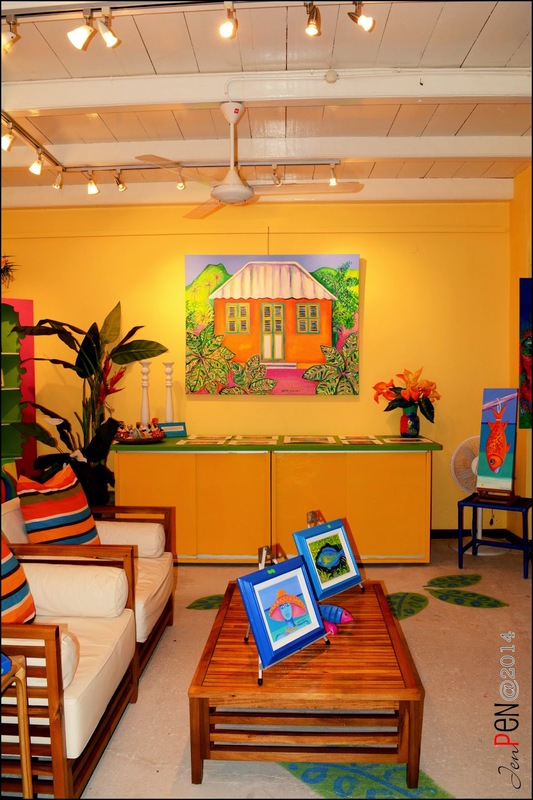 Her studio and gallery is located at the West side of the island. Next up in the alley is Ecco Bambu. 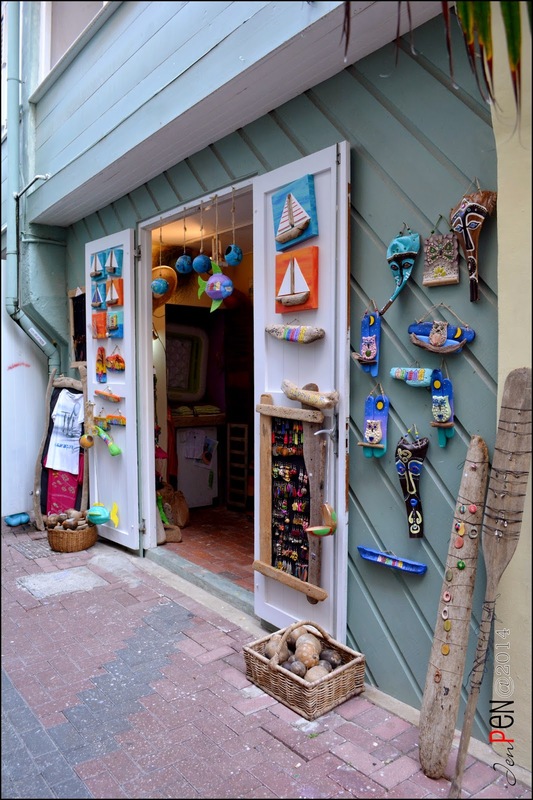 This little shop has handmade souvenirs and handmade decorations for your home and garden. 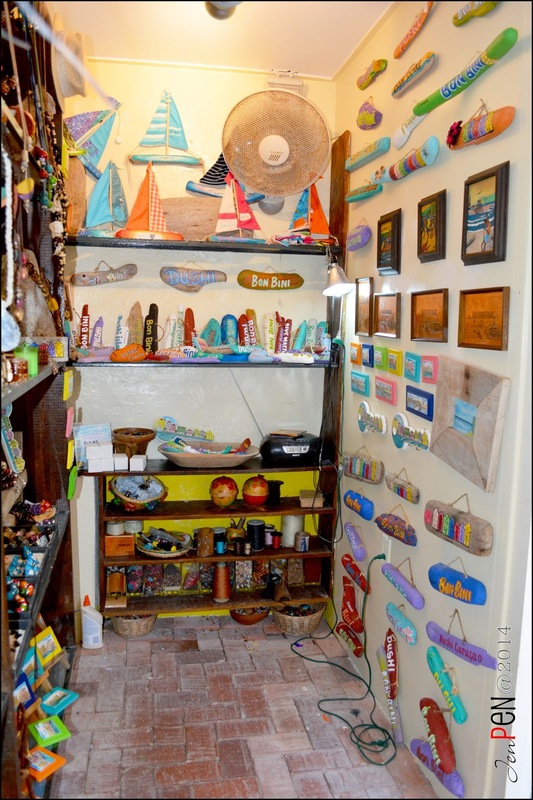 The eco part of it all is that all of the decorations or souvenirs are made from pieces of the nature like driftwood and a fruit here on the island called Calabash. 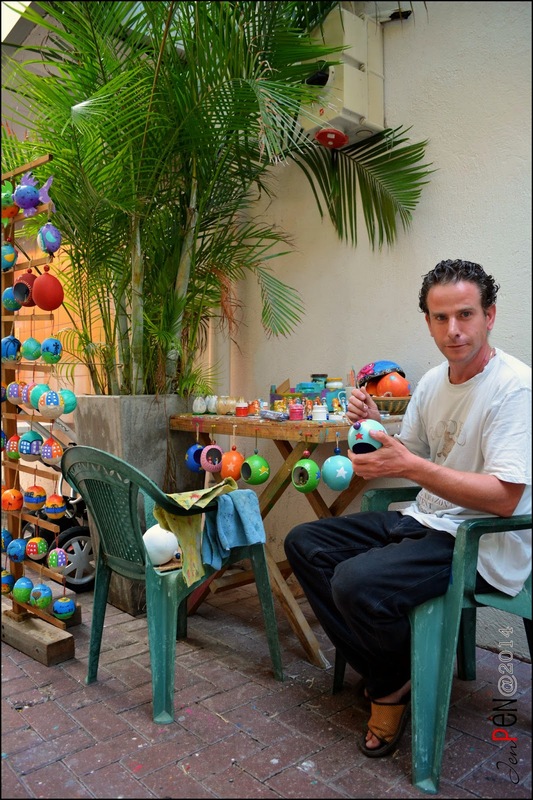 How about his creative workspace? Awesome!! 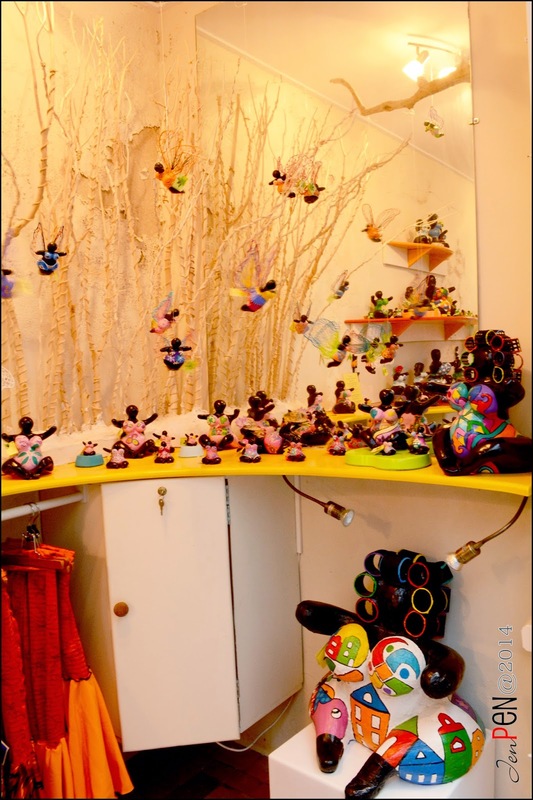 And last but not least, is the little store of Serena's Art Factory. 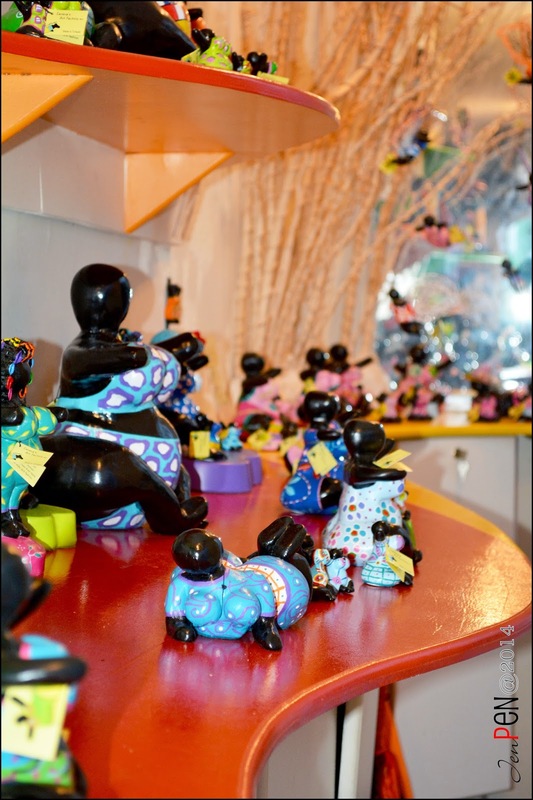 Serena's Art Factory is famous for her Chichi sculptures. Chichi means big sister (as in the oldest sister) in our native language Papiamentu. These Chichis are made by the Berlin artist Serena Israel. The sculptures come in mini sizes and huge gigantic sizes. 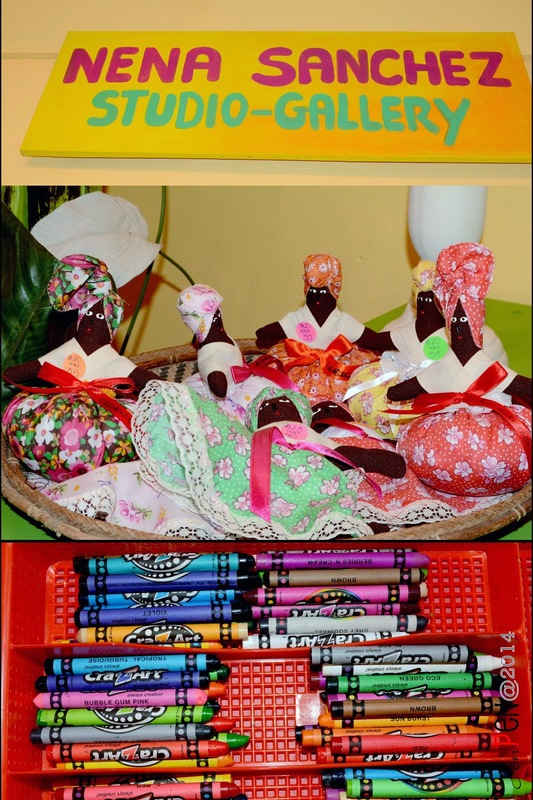 She also gives workshop where you can paint your own Chichi. 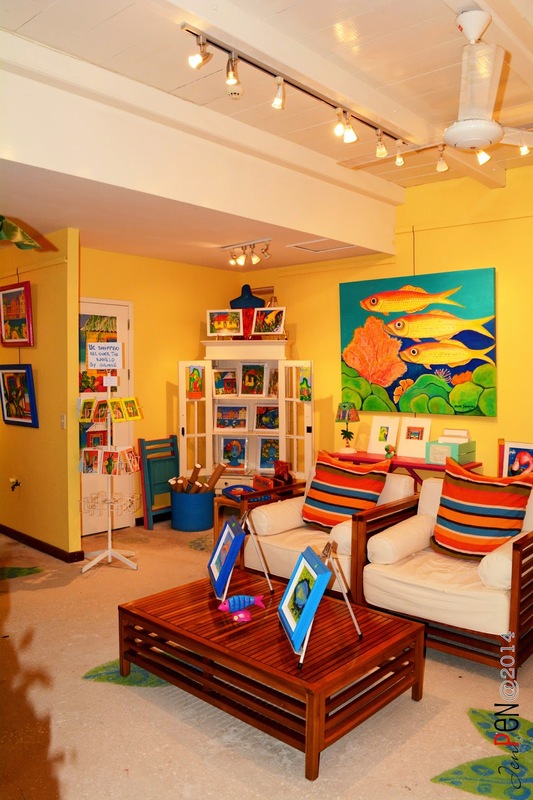 Serena's Art Factory has her studio, gallery and shop located at the East side of the island. So there you have it folks. 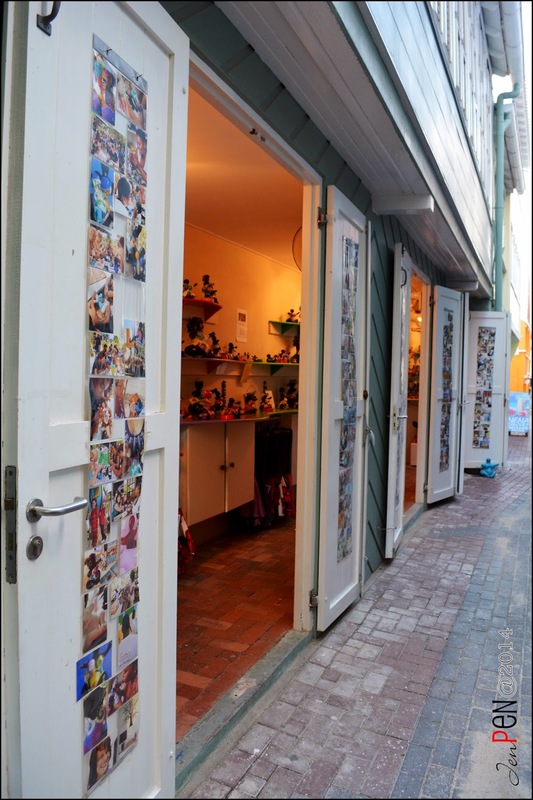 Our art & craft alley. 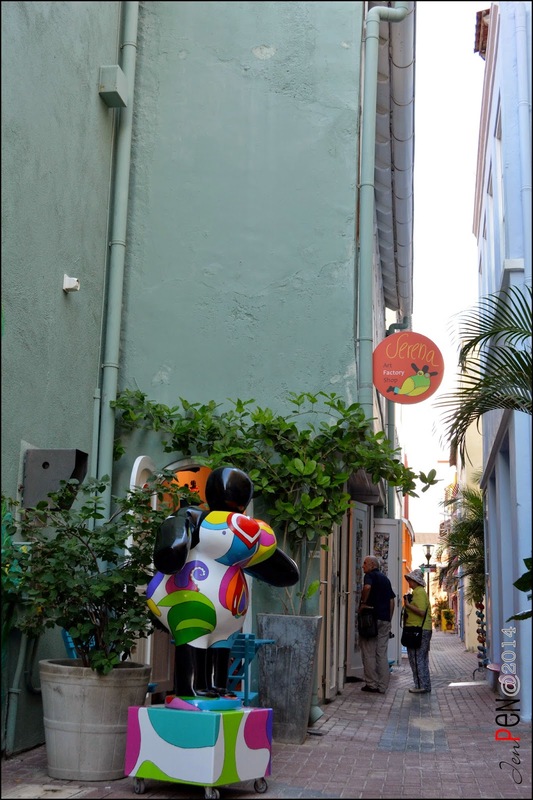 I wish they could do more of these kind of alleys in Punda. It will make downtown more alive and inspirational. Maybe Someday....And if you are planning to visit the island but don't know where this cute little alley is, just leave a comment below and you'll get the directions as easy as the ABC. 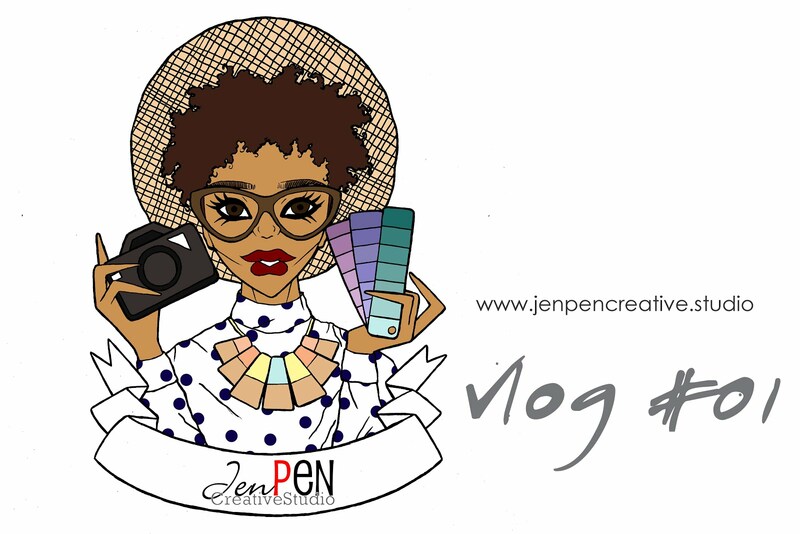 Your images are beautiful and the Pin button is genius. 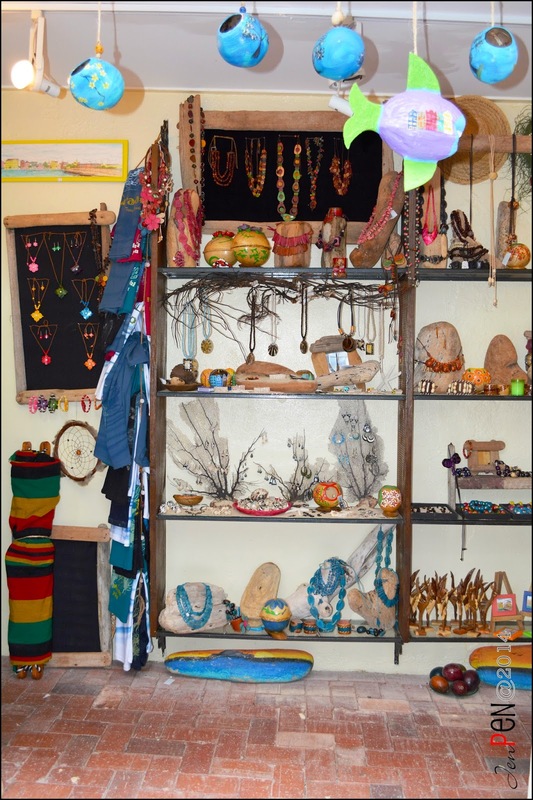 The shop looks so cute and colorful. Definitely draws people in.